Every afternoon, when the kids and I snuggle in for a good Read Aloud together, I allow them to choose a handcraft to work on...there are MANY benefits to handcrafts during reading time, but that is for another post. Last summer at his 6th birthday party, Super Boy was given the Orb Factory Pirate Sticky Mosaic kit. I was thrilled because I had been meaning to buy one of the Sticky Mosaic Kits for quite some time, but just never got around to it. Well, long story short...he LOVED it! Everyday, he anxiously awaited our read aloud time. I'd like to say it was because of my wonderful narration, but alas...it was the Pirate kit! In fact, it was such a huge hit with all the Littles that The Unlikely Nana and Papa picked up My First Picture Maker Magnetic Mosaic, a more preschool-friendly version, for Blonde Warrior's birthday a few months later. You can imagine how excited I was when the fine folks of the Orb Factory sent one of their newest editions, VeggieTales™ My First Sticky Mosaics Fun Friends to our doorstep! Not only are these mosaic kits great for color and shape review, they also provide ample small-motor and dexterity practice necessary to promote good handwriting skills. If getting to create replicas of the characters they love was NOT enough, the Littles also enjoyed the addition of jeweled stickers that added sparkle to their creations. Since the VeggieTales™ My First Sticky Mosaics Fun Friends is in the preschool (3+) line of Orb Factory products, the simple color/shape matching process was just perfect for Greased Lightening and Blonde Warrior. Although Greased Lightening, not quite 3, needed a little help removing the foam stickers from the sticker packs, he did an excellent job matching up the shape/color and placing the sticker in the correct spot. He's always been my "fine motor" boy and was insistent upon getting each triangle edge to line up with its corresponding location. I save our Orb Factory kits for read aloud time, but they would also be perfect for visits to grandmas house, long car rides, doctor's office waiting rooms...any where that you need to whip out a fun activity to keep little hands busy for an extended period of time. The VeggieTales™ My First Sticky Mosaics Fun Friends costs $9.99, but Orb Factory has a full line of products ranging in price from $4.99 to $19.99. Orb Factory is giving away one FREE VeggieTales™ kit of your choosing to one of the fine readers of The Unlikely Homeschool. Just follow the simple instructions from Rafflecopter. There are eight chances to register to win. Simply click on the +sign for every entry you wish to make. 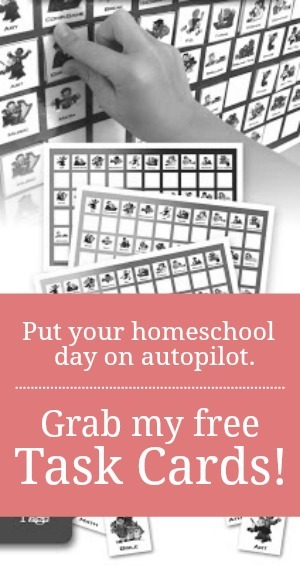 For more free giveaways, visit Hip Homeschool Moms. No purchase necessary to win. Must be a 18 years of age and a US resident to enter. This giveaway is in no way endorsed or affiliated with Facebook. Odds of winning are based on the number of entrees. A winner will be randomly selected using Rafflecopter and will be announced Wednesday, June 27, 2012. Disclaimer: This was an affiliate review. Although I received a free product, I have given an honest review. All thoughts have been my own. Megan would love the Sparkle Ups Kit. She has tried one of these before and loved it. What a great way to keep her busy while we do "other" school stuff. We would like the "Friendship Box"
Would love the Jewel By Number Veggietales Sparkleups for my daughter! Anything Veggie Tales! I have a huge (tiny) fan in my house. We would like the friendship box. The mosaic friendship, my kids would love! Not a day goes by without veggietales in our house!